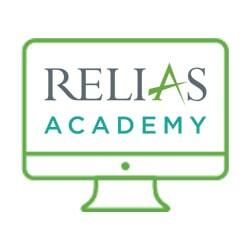 $100 Prepaid Training Credit is proudly presented to you by Relias Academy. Thank you. We hope that you enjoy your course. Relias Academy gives you the ability to prepay for the courses you'll need in the future. Purchase training now and only assign courses as you need them later! Use your prepaid code like a gift certificate. The balance of your gift certificate will be drawn down each time you make a purchase. You can use the code for yourself, or you can email Assignable Course Token invitations direct to your staff. Although most orders are fulfilled within 48 hours, please allow up to five (5) business days to receive your code. Your voucher code will be good for up to one (1) year.